The CRTC has already mandated access to the incumbents’ fibre networks for smaller ISPs, but recently it has sent strong signals to the industry that it also wants to regulate the wholesale price telcos may charge (via OpenMedia). “Competitors that provide retail Internet services to Canadians using wholesale high-speed services must have access to these services at just and reasonable prices. The fact that these large companies did not respect accepted costing principles and methodologies is very disturbing. What’s even more concerning is the fact that Canadians’ access to a choice of broadband Internet services would have been at stake had we not revised these rates. As always, we strive to create a dynamic competitive telecommunications market for Canadians,” said Jean-Pierre Blais, CRTC Chairman and CEO. After analyzing the tariff applications the telcos and large ISPs submitted, the CRTC appears to be “very concerned” that certain companies “did not respect accepted costing principles and methodologies.” The companies who had submitted rates are Bell, Cogeco, MTS, Rogers, SaskTel, Shaw, TELUS and Vidéotron. The regulator said it has set interim rates and reduced the proposed transport component rate for certain companies by up to 89%, and the proposed access component rates by up to 39%. Considering that small ISPs depend on the wholesale price they get from the incumbent player, the CRTC’s move is helping them. 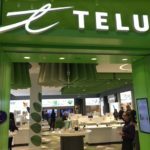 You may recall that Bell initially appealed against the CRTC’s ruling that mandated access to the fibre networks telcos built, but earlier this year the regulator denied Bell’s appeal, giving indie ISPs the green light for fibre internet.